Fig. 20. 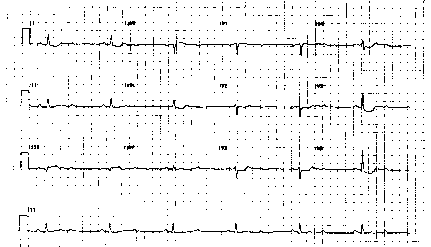 Mobitz 1 2nd degree A-V block (A), 2:1 A-V block (B), and third-degree A-V block (C) in this patient with acute IMI. 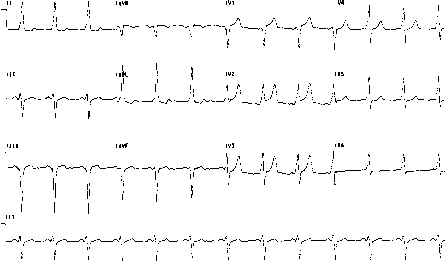 The ventricular escape rate in this case is relatively low for heart block related to IMI, but the QRS complex is narrow. Atropine improved A-V conduction.